Youth Migration and Mobility. Higher Education in Africa. Digital Humanities and Social Media. Ghanaian Politics. PhD project at the Institute of African Studies at the University of Ghana: Student Migration Aspirations (link to project site). Lecturer at Ashesi University, Ghana. Open activist at Creative Commons Ghana. Öberg, P.O. and Hallberg Adu, K. 2009. “The Deceptive Juncture: The Temptation of Attractive Explanations and the Reality of Political Life” in Magnusson & Ottosson (eds.) The Evolution of Path Dependence. Cheltenham: Edward Elgar. Available here. Hallberg Adu, K. (2009). Private Higher Education on the Rise. University World News. Hallberg Adu, K. (2006). Is Corporatism in Scandinavia on Decline or Not? (Thesis) Uppsala University. Hallberg Adu, K. (2004). Socialdemokratins syn pa hogre utbildning (Thesis). Uppsala University. Hallberg Adu, K. (2005). State Strategies for Implementation: The case of Land Reform 2003 in Ghana (Thesis). Uppsala University. Masters program in Migration Studies. Guest Speaker: Trends in African Migrations (presentation in M4v-format). Department for International Studies. La Universidad Iberoamericana. Mexico City, 5 Okt, 2018. Nordic Africa Days. Panel organizer: Conceptualizing Youth Mobilities. Uppsala 19-21 September, 2018. Digital Humanities, “Puentes-Bridges”. Roundtable panelist: “Digital Humanities Pedagogy from The Global South & Ghana”. Mexico City, 26-29 June, 2018. Yielding Accomplished African Women (Yaa W) Technology and Finance Accelerator program. “Leadership starts with you”. 14 June, 2018. Crossroads seminar, Kenyon College. Presenter: Feminism in West Africa and the Happiness-discourse. 25 May, 2018. Forum for Africa Studies Friday Research Seminar. Presenter: ““I am so so very not sure” University students in Ghana and Their International Migration Aspirations”. Uppsala University, Sweden. 2 February, 2018. Odekro Brown Bag seminar: Presenter: “The role of Social Media in Ghana’s general elections”. 25 October, 2017. 10th Anniversary International Conference, Migration, Security and Development, Centre for Migration Studies, University of Ghana. Presenter: “Migrating to an imagined future: The case of university students in Ghana” with Nana Akua Anyidoho. 26-27 October, 2017. 2nd Biennial Conference African Association of African Studies, “African Studies and Global Politics”. Presenter: “The role of Social Media in Ghana’s general elections” with Kafui Tsekpo. 12-14 October, 2017. Young Women in Programming Launch. Speaker: “Addressing the misconception of women as late adopters of technology”. University of Professional Studies, Ghana. 25 September, 2017.
iHav Foundation. Speaker: “Social Media and its Employment Opportunities”. 26 July, 2017, Accra. ECOWAS Commission, Media Encounter. Presenter: “”Social Media and Citizens’ engagement in the Elections in Member States … the Ghanaian Experience”, 21-22 July, 2017, Monrovia, Liberia. Africa Open Data Conference. Co-convener: Open Data for education advancement in Africa and its diaspora. 17-21, July, 2017. Accra Ghana. Border Studies Workshop, Presenter: “Mobility Aspirations among University Students in Ghana”. Global Liberal Arts Alliance and Franklin University Switzerland, 2-7 July 2017, Lugano, Switzerland. Nordic Geographer Meeting, Presenter: “Migration Aspirations among University Students in Ghana” and “Conceptualizing Academic Mobility and Mobility Exclusions” 19-21 June 2017, Stockholm, Sweden. Barcamp Tema, Mentor. “Professionalism, Innovation and Competence”. June 3, 2017. Tema, Ghana. Post-Development, Post-Democracy, Post-Colonial Legacies, Co-Presenter: “Teaching Evolving Political Landscapes”. Lancaster University Ghana, May 28, 2017. Ghana Police Service. BloggingGhana Social Media Training. Presenter: “Chair’s Welcome Address”. Accra, October, 2016. African Studies Association 59th Annual Meeting: Imagining Africa at the Center: Bridging Scholarship, Policy, and Representation in African Studies. 1-3 Dec, 2016 Washington DC, US. Presenter: “Data for and from the Higher Education sector in Africa”, “Democratic Gains from Election Season 2016 in Ghana”. Ghana Studies Association Conference: Global Ghana. July, 6-9, 2016, Cape Coast, Ghana. Roundtable co-convener: “The Challenge for Private Post-Graduate Education”. American Anthropological Association and African Studies Association joined conference: Innovation, transformation and sustainable futures in Africa. Dakar, Senegal, 1-4 June, 2016. Presenter of Flash Presentation: “Re-thinking “Education Under Trees”. Workshop convener: “Learning Engagement in the Age of Social Media and Emerging Virtual Reality”. Social Enterprise activity in Ghana: Making an impact Through Business, Program Organized by British Council and Songhai Advisory. December, 14, 2015, Accra. Speaker: “Controlling your social media presence”. African SME Summit: Dreaming Africa. Dec 5, 2015. Panelist: “Changing the conversation in Africa’s media front”. 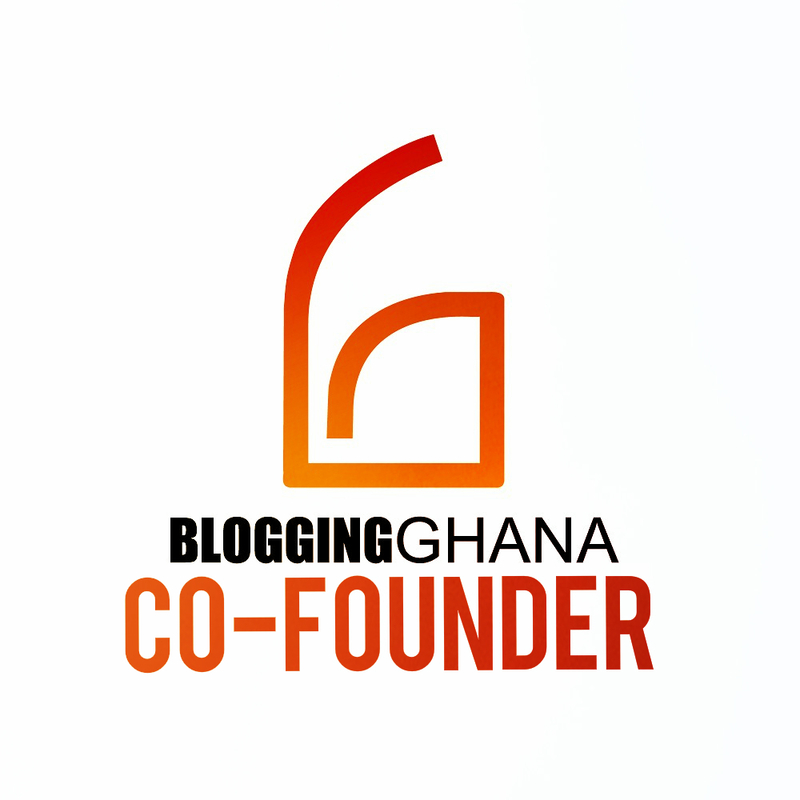 BlogCamp, May 9, 2015 , Kumasi. Speaker. “Chair’s Address”. Academic Migrations Workshop, Dec 4-7, 2014, Addis Ababa, Ethiopia. Presenter: “Ghanaian Student Mobility in the Global Knowledge Society”. Nordic Africa Institute, May 25-June 25, 2014. Uppsala, Sweden. Guest Researcher: Presented work in progress. International Conference in African Studies at Legon, Ghana. Presenter: “The future of graduate school in Africa: An empty drum or a rich soup?” 24-26 Oct, 2013. TEDxCapeCoastEdu. Speaker: “Twitter in the Classroom”. 30 Aug, 2013, Cape Coast. Hallberg Adu, K. (2018). Paa Joe & Elizabeth Sutherland : Ake yaaa heko, one does not take it anywhere. Exhibition catalog for Gallery 1957. ”Beyond the waters”, p. 28.29. Laari, Martey. (2018-04). Small-Scale Mining impacts on Cocoa Productivity and Rural Livelihood: A Case Study in Amenfi West District of Ghana. Undergraduate Thesis. Ashesi University College. Awuor, Lilian. (2018-04). Assessing The Relationship Between Parental Leave Policy And Job Performance And Job Satisfaction: A Case Study Of The Banking Sector In Ghana. Undergraduate Thesis. Ashesi University College. Amoah, Roslynne. (2017-04). Understanding the Relevance and Usage of Information Technology in the Selection of a Childcare Provider by Primary Caregivers in Greater Accra. Undergraduate Thesis. Ashesi University College. Appiah, Dede-Nakoh. (2017-04). Dementia In Ghana: Care Options Available And How Technology Can Be Used To Publicize Them. Undergraduate Thesis. Ashesi University College. Amoh-Mensah, Dorcas. (2016-04). Ethical or not? Assessing the effectiveness of Giving Voice to Values as a course in Ashesi University College. Undergraduate Thesis. Ashesi University College. Amegatcher, Anna Korkor. (2014-04).Social media in Ghana’s legacy media industry: Collecting “likes” or building a new revenue source? Undergraduate Thesis. Ashesi University College. Aryeetey, Sophia. (2011-04). Investigating job satisfaction of caregivers at the SOS Children’s Village (Tema) and Osu Children’s Home. Undergraduate Thesis. Ashesi University College. Cham, Isatou. (2011-04). Challenges faced by female entrepreneurs within small and medium-scale entreprises (SMEs): A study of the saloon business in Ghana. Undergraduate Thesis. Ashesi University College. Can-Tamakloe, Sena Lily. (2011-04).“To perm or not to perm”: A case of natural hair in Accra, Ghana. Undergraduate Thesis. Ashesi University College. Appiah, Benedicta. (2010-04).The impact of training on employee performance: A case study of HFC Bank(Ghana) Limited. Undergraduate Thesis. Ashesi University College.